Search Engine Marketing is digital marketing tool that increases web traffic through search engine optimization and pay per click campaigns. 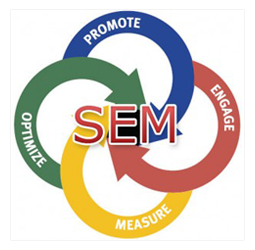 SEO is an organic and long-term process and PPC is fully a paid and instant advertising campaign. SEO and PPC are two different but powerful online marketing tools. We combine these two digital marketing tools together to increase the web traffic. We are here to change your business the way you want. Our SEO professional evolve newer, better and traffic driving keywords through web analytics that can be experimented with PPC and later implemented for SEO as well. We are one of the leading names in the market offering the service of Search Engine Marketing services. Based at Thane, Mumbai, we cater our service to various industries in the city. Our search engine marketing techniques are very effective as we follow the latest trend with respect to search engine optimization. Our search engine technique has helped several websites to become more visible online.